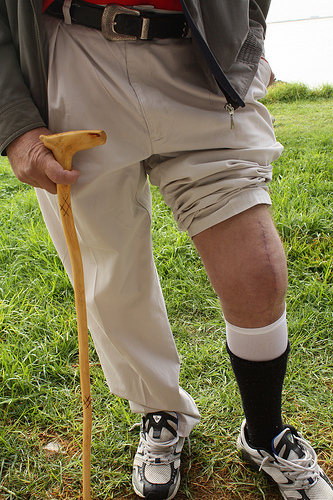 Multiple studies are finding that people having knee replacements continue to gain weight after surgery. So why are they gaining weight? Is it exercise or other lifestyle factors? In a 2010 study published in Osteoarthritis and Cartilage, one hundred and six adults with unilateral, end-stage knee osteoarthritis (OA) and thirty-one persons without knee pain participated in the prospective longitudinal study. Subjects with OA underwent primary unilateral total knee replacement and received post-operative out-patient physical therapy. Height, weight, quadriceps strength and self-perceived functional ability were measured at baseline and at a 2-year follow-up. Body Mass Index (BMI) showed a significant increase in the surgical group, but not in the control group. 67% of the surgical group gained an average of 14 lbs (despite decreased pain and improved function). The weight gains after surgery cannot be attributed to age alone. The high BMI of the surgical group should be treated as independent of their OA. I often hear from patients that they have gained weight because their knee hurts and they can’t exercise. Studies such as the one above show they have reduced pain and increased function after surgery. The patient-described barrier to weight loss is now gone. There must be reasons other than a lack of activity for continued weight gainâ€¦and itâ€™s not the total knee surgery! Sedentary lifestyle. Knee pain was just a good excuse maybe they never did much physical activity anyway? Other medical conditions– diabetes, hypothyroidism, and other disorders that effect metabolism often cause weight gain. Medications– some prescription medications can directly or indirectly promote weight gain. Sleep– inadequate sleep can cause release of stress hormones that can cause weight gain. Diet– most important to weight management is your diet. Too many calories get stored as fat. 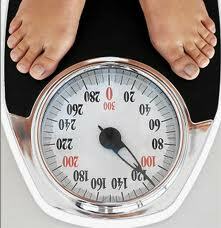 The studies suggest that patients should not look at their painful knee as the cause of their weight gain. Prospective surgical patients should pursue lifestyle modifications prior to surgery that will promote improved health, including weight loss. Â· Set weight loss goals. Not just weight, but also take some body measurements such as your waist. 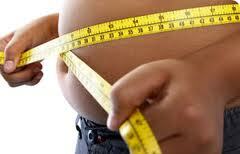 Men should try to have a waist measurement that is less than 40 inches. This isn’t your pant size, but actually tape measurement at the level of your belly-button. Â· Increase physical activity…make it a habit. I realize that your knees may hurt with walking, so try to pursue lower impact activities such as pool based exercises and biking. Perform resistance exercises for your upper body to build muscle. You would also be surprised that performing resistance exercises for your legs may also help with your pain. Â· Sleep eight hours per night. Sleep is very important for your body to recover and repair from the day’s activities. Â· Discuss medications with your physician. Medications can directly and indirectly affect your weight. If you are taking a number of medications, ask your physician how they may be affecting your weight. If you are diabetic, your medications are sensitive to activity level and diet, so please consult with your physician when making lifestyle changes. Cut back on starchy carbohydrates (this included bread and pasta). It is too easy to overindulge in starchy, processed carbs. Your best carbohydrate sources are vegetables followed by fruit such as berries. Veggies and fruits are good choices due to their high nutrient density and fiber content. Eat a hardy breakfast. Eggs are good for you! To answer the question, Do total knee replacements make you fat? the answer is, “NO.” However, a total knee replacement alone will not help you lose weight. What has been your experience with weight loss or gain after a total knee replacement? Walk your way to back pain relief!